We will be out all morning on Saturday (the girls' music school end-of-term concert) and I will be out all afternoon (the great decluttering exercise), leaving no time to cook. The alternative? A traditional Jewish Sabbath meal, cholent. Orthodox Jews do not cook between sunset on Friday evening and sunset on Saturday, so all Sabbath meals must be prepared in advance. Some are eaten cold, but this one is cooked slowly overnight. Just what I need - prepare on Friday, eat on Saturday ... and let Tevye savour one of the tastes of his childhood. The cholent ritual was an important part of Jewish life in the Polish villages of the nineteenth century. Each family would mark its pot with chalk, and tie it with string before sending it to be cooked in the baker's oven. It was a tragedy indeed if a child should drop the hot dish on the way home, and the whole village would give a spoonful to make up the family's meal. In those cholents, potatoes and 'kasha' (groats) were the main ingredients, with a good meat bone to help the flavour. But the richer communities, where kosher meat was more readily available, would put in a good chunk of boneless brisket or top rib. Jews who came to Britain in the latter years of the nineteenth century continued to make their cholent just as they had done in 'der heim', putting in butter beans or barley for variety, and topping the dish with a fluffy 'knaidel' or dumpling; they found it an ideal way of feeding their large families in the days when a joint, as we know it today, was beyond the finance of most immigrants. The cholent cooked to perfection in the coal oven, as it had done in the wood ovens of of Russia and Poland. Soak the butter (lima) beans in water to cover overnight, drain well. Rub the brisket with the salt, pepper, paprika and ginger, then brown quickly in the fat or margarine, together with the onions and garlic. Put in a deep earthenware casserole (a hot-pot dish or Dutch oven is ideal). Add the bayleaf, drained soaked beans, and the potatoes or barley. Cover with boiling water, cover the dish and put in oven at Gas Mk 5 / 400 deg F / 200 deg C for 30 minutes or until contents start to bubble. Turn heat down to Gas Mk ½ / 250 deg F / 130 deg C and leave overnight. Serve for lunch the next day. The end result is meat that is falling-apart tender, with potatoes and beans so thoroughly soaked in the juices that they turn a deep orange colour right through. More winter comfort food! 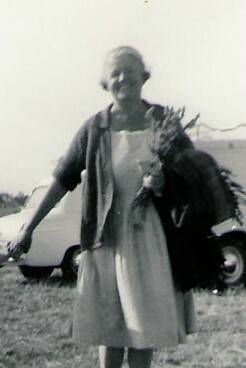 As a young woman my mother left home (which was not a happy one) and found lodgings with a Methodist minister and his wife. Childless themselves, they took her into their hearts as well as their home and became "Auntie" and "Uncle" to her. For my brother and myself Auntie and Uncle were grandparents in all but name and dearly beloved. They both died over thirty years ago, but I still miss them badly. 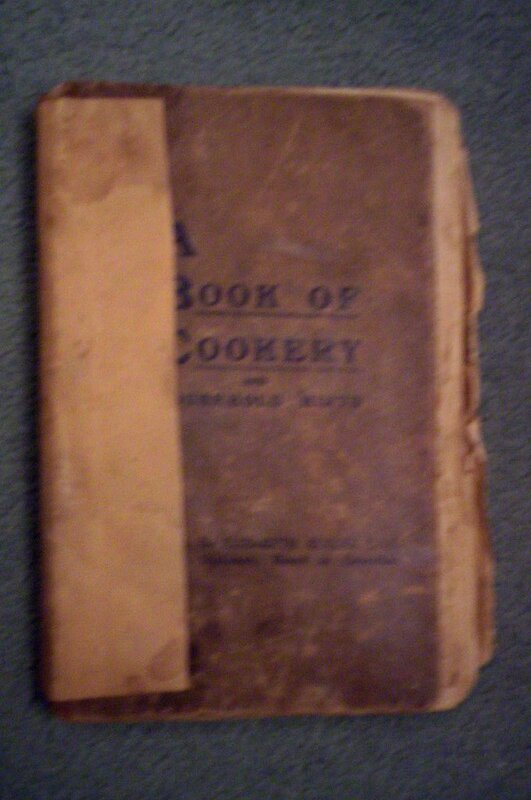 Sorting through my mother's bookshelves last week we unearthed two old and battered cook books that were Auntie's. 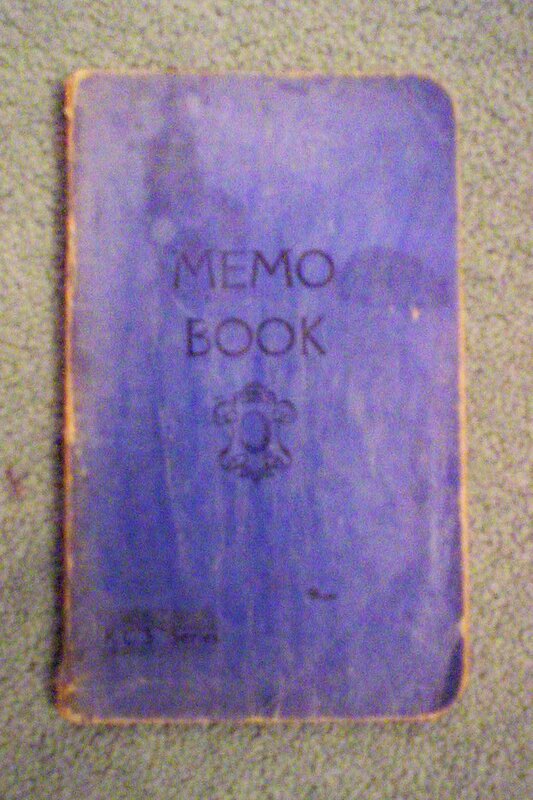 The first is a tatty memo book with recipes handwritten in pencil. The second is the A.B.C. 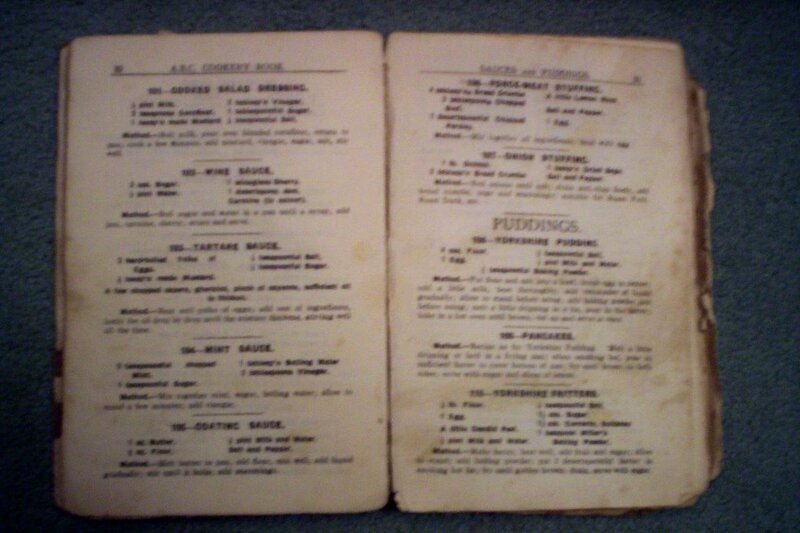 Cookery Book, a small book held together with tape, published in Blackburn, Lancashire, in 1928. Both are full of simple recipes - old-fashioned home cooking (my strong point), not fancy dishes for entertaining (I don't go there!). What a joy it will be to keep memories alive through this special link between Auntie's kitchen and mine. Beat butter and sugar to cream. Add lemon rind or currants. Add beaten egg and flour alternately. Form into paste, Turn out on floured board, roll out thinly, cut, put on greased tin. Bake in moderately hot oven 10-15 minutes. Last night's dinner was shipwreck stew. I found this crockpot recipe on the internet, but now I can only find numerous other variations so I can't link to the recipe. The version I use is very, very simple to throw together, and all four of us enjoy it (we'll gloss over the fact that one daughter picks out the potatoes and her sister picks out the beans, and then they swap!). It makes a good winter warmer, and the recipe can easily be doubled or trebled to cater for a large family or guests. Brown the mince and onion. Put all ingredients in crockpot and stir well. That's all there is to it! I cook it on high for 4 hours, though the recipe says low for 4-5 hours - my crockpot would need a lot longer than this on the low setting. I serve it with a green vegetable. Today is Stir-Up Sunday, the day for stirring up Christmas puddings, an essential part of dinner for Christmas Day here in England. We won't be making ours today, but Star and I will be preparing them next week. Until this year my mother has always made them, but standing for any length of time is too painful as she waits for her hip replacement operation (she now has a date for surgery ... December 18th! ), so I have inherited the job along with the family recipe she has always used. Steam for 3 to 4 hours. After steaming remove the greaseproof paper and cover with foil. 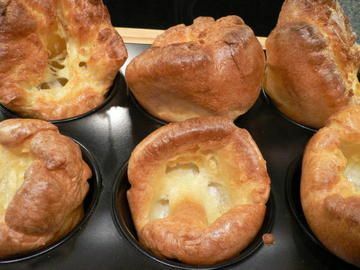 These puddings are not rich so will only keep for about 6 weeks, though they can be frozen if you want to keep them longer. Steam a second time for at least 3 hours, and serve with any combination of brandy sauce, brandy butter, custard or cream. I need to check just how many puddings this quantity of mixture will make, but I think it would probably be two 2 pound puddings and two 1 pound puddings, or thereabouts. Note: If anyone in the US is interested in making these, let me know and I can post conversions into cups. Mix can of soup with half a can of water (I used water in which I had simmered the chicken breasts), soy sauce and garlic salt. Layer mushrooms, chicken and soup mix. Spread potato over the top. Could easily be made in advance ready to bake, and would freeze well. While I am posting menus, here is Week 4. Most days we have fruit for dessert after dinner, depending on what is on offer at any given time. This week it has been mainly pineapple and satsuma. Occasionally I will cook something, but not often. A friend gave me surplus apples from her tree, so I ought to make something with them - probably an apple crumble on Sunday. I am now officially organised ... in one area, at least. I have a menu plan. I used to have a rolling four week menu which worked beautifully for a while, but it somehow fell apart due to inertia quite some time before pregnancy would have rendered it useless in any case. For the last few weeks I have been writing, and pretty much sticking to, a menu for the week. Flushed with success, I decided to go the whole hog with a new four week plan. Most weeks I will have to make adjustments to allow for real life, but I know from experience that having a basic plan to draw on is a lot less effort than trying to work out a menu from scratch. I am so proud of myself for finally getting my culinary efforts organised I thought I'd share this coming week's plan. I have to work round a few limitations - we aren't by any means strictly Kosher, but we never have pig products in the house (no ham! no bacon! ), and Tevye does not eat cheese in any shape or form, so the girls and I tend to have cheese for lunch when Tevye is at the office. I also try to cater to the girls' tastes at least to some extent - fortunately they are not particularly picky eaters, though Star is in an irritating phase of suddenly deciding she dislikes things she has eaten happily for years. If you enjoy reading menus, tell me and I'll post the other weeks later.